The Pilgrim Resonator Tenor banjo is a classic-style 19-fret instrument with an adjustable tailpiece. It boasts a solid Maple with Rosewood shell and a 24-bracket tone ring with a genuine Remo Weatherking head for a vibrant, powerful tone that is ideal whether you’re playing solo, with a band or doing session work. Being sold as new, unwanted gift, comes with good quality case, spare strings, capo & picks. Traditional banjos for bluegrass and finger picking styles. Body rim and resonator are all mahogany, with a mahogany neck married to a a rosewood fingerboard. A coated drum head forms the sound board and supports a floating bridge. Tuning is served by open geared tuners. 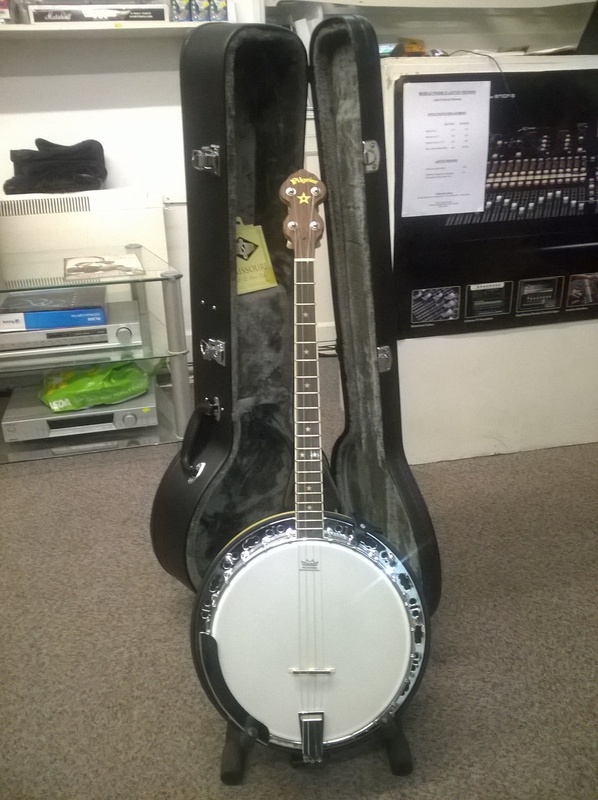 Fully featured instruments for folk and country music genres.